Most second division and medical transport vehicles must have a Certificate of Safety before being driven on state highways. Safety inspections are required every six months. Buses registered as charitable vehicles; senior citizen transport vehicles; school buses; medical transport vehicles; tow trucks; limousines. Vehicles with a gross weight of 8,000 pounds or less. Farm tractors, machinery and other implements. Vehicles owned or operated by the city of Chicago, which display proof of ownership. Vehicles owned or operated by the federal government, which display proof of ownership. Vehicles registered as recreational vehicles, which display proper plates. Specialized vehicles as defined by statute. Vehicles properly registered in another state. When a vehicle passes inspection, the driver is issued a Certificate of Safety windshield decal and an inspection report. The decal must be displayed on any vehicle using public roadways. Law prohibits CMVs from being equipped with any instrument designed to detect the presence of, or interfere with, microwaves at frequencies used by police radar for the purpose of monitoring vehicle speed. The term “equipped” means and includes possession or use within a CMV. A motorist shall not be in violation if the device is contained in a locked, opaque box or similar container or the device is not in the passenger compartment of the vehicle and is not in operation. Violation of this law is a petty offense with a minimum fine of $50 for a first offense and a minimum $100 for a second or subsequent offense. 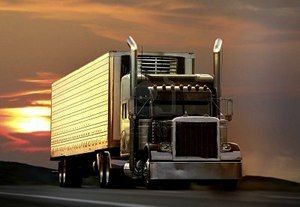 Commercial vehicle drivers using GPS (Global Position Services) devices for assistance with routing and navigation should employ a device designed specifically for truck navigation. A truck-enabled GPS device contains information about truck-restricted roadways and designated routes, as well as takes into consideration the size of the truck (length, weight, height, load types) as it routes. 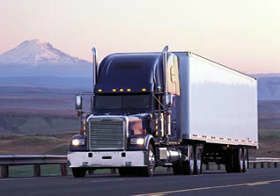 Unlike regular car GPS devices, truck-enabled GPS units provide a safer tool for ensuring that commercial vehicles are not mistakenly routed on non-truck roads, through low bridges or other hazards. Traffic and safety laws, road conditions and street signs always take priority when navigating. A radar detector is allowed inside of a commercial vehicle as long as it is contained in a locked box. A question asking about radar detectors will show up on the written exam from time to time. Which vehicle is not required to pass a safety inspection? - Vehicles with a gross weight of 8,000 pounds or less. - Farm tractors, machinery and other implements. - Vehicles owned or operated by the city of Chicago, which display proof of ownership. - Vehicles owned or operated by the federal government, which display proof of ownership. - Vehicles registered as recreational vehicles, which display proper plates. - Properly licensed antique vehicles. - Specialized vehicles as defined by statute. - Vehicles properly registered in another state. Law prohibits CMVs from being equipped with any instrument designed to detect the presence of, or interfere with, microwaves at frequencies used by police radar for the purpose of monitoring vehicle speed. The term "equipped" means and includes possession or use within a CMV.